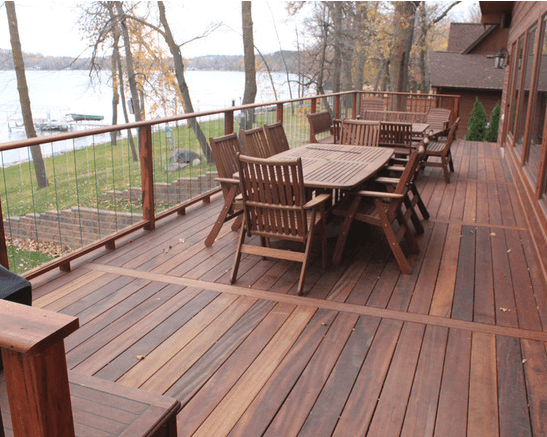 TigerDeck® is a complete Tigerwood Decking system unlike any other. 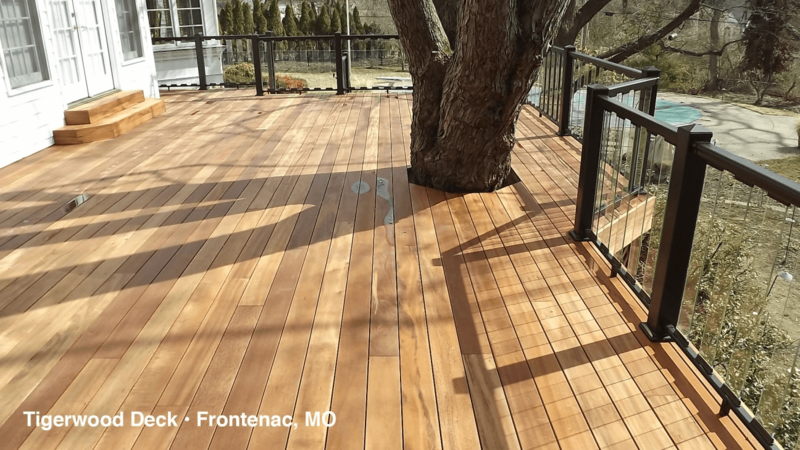 We package naturally strong Tigerwood decks with BlackTalon® Universal Deck Fasteners to give you a TigerDeck that is durable, easy to install, beautiful and low maintenance. 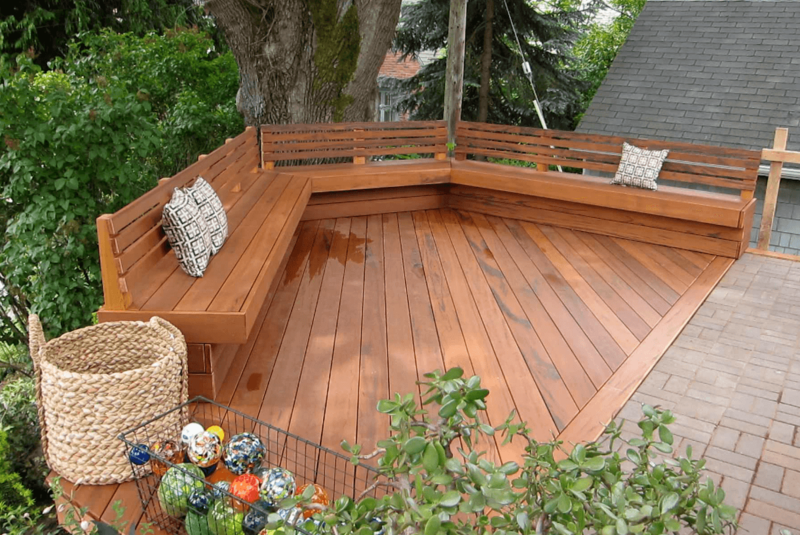 Graded in the USA, TigerDeck Tigerwood deck lasts 2-3 times longer than Redwood, Western Red Cedar, or treated wood and is naturally rot and insect resistant. 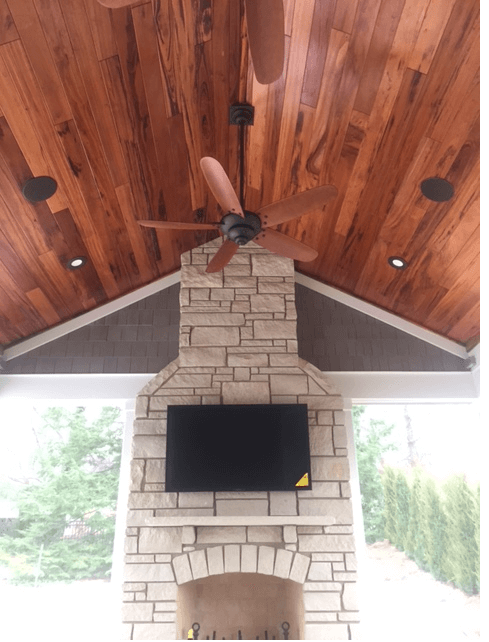 We stand behind every product we sell with a 25-year limited warranty. 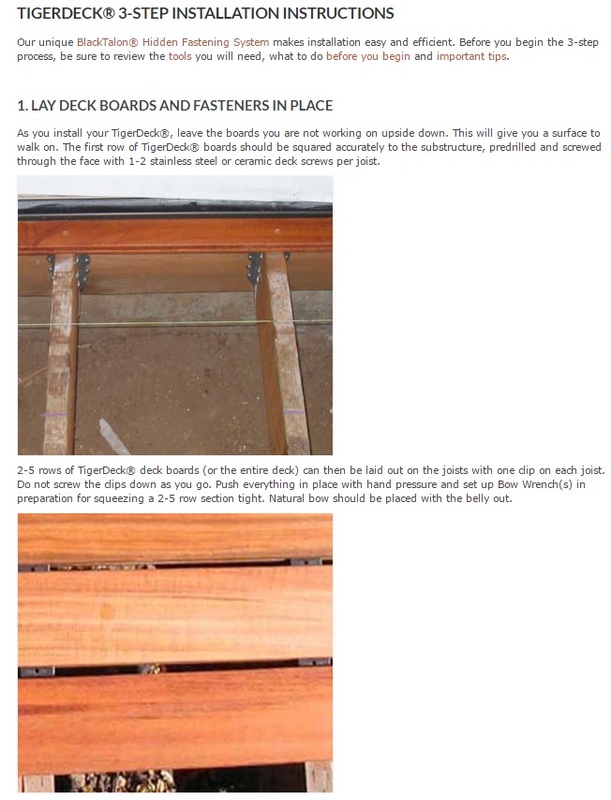 Q: Is TigerDeck the same thing as IPE? 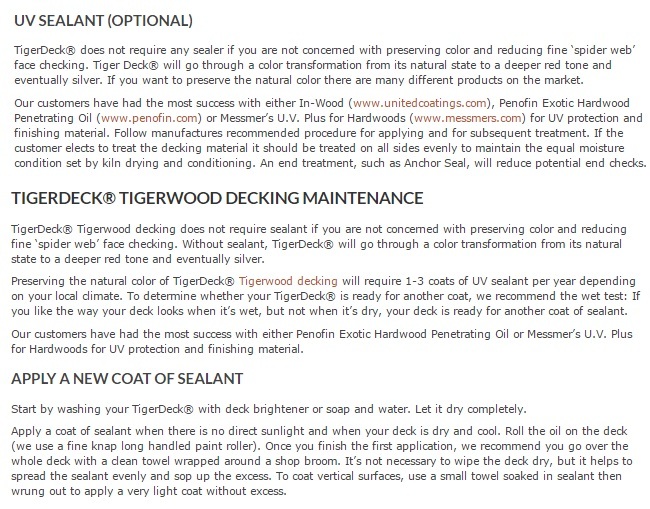 A: No, TigerDeck is different than IPE. 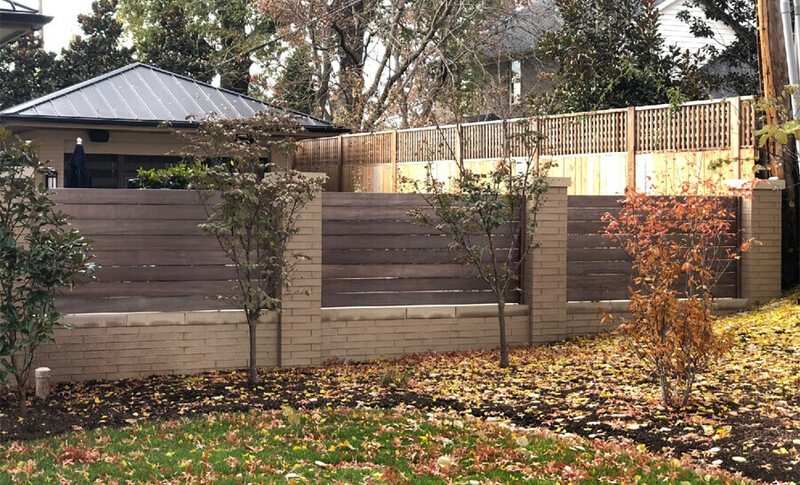 While both are South American hardwoods, they actually are a different species of trees, with TigerDeck coming from the Astronium spp. tree. 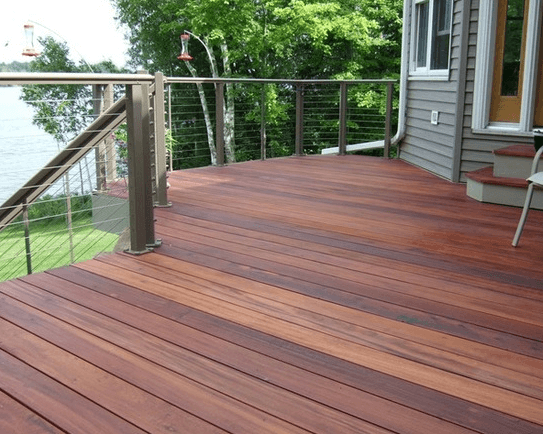 Q: Do I need to seal and/or stain TigerDeck? A: No, it doesn't have to be sealed if you don't mind the product slowly changing color. The product will perform just as well, but it's color will go through a transformation, at first darkening to a deep auburn in the first few weeks and then eventually turning a silverish grey. 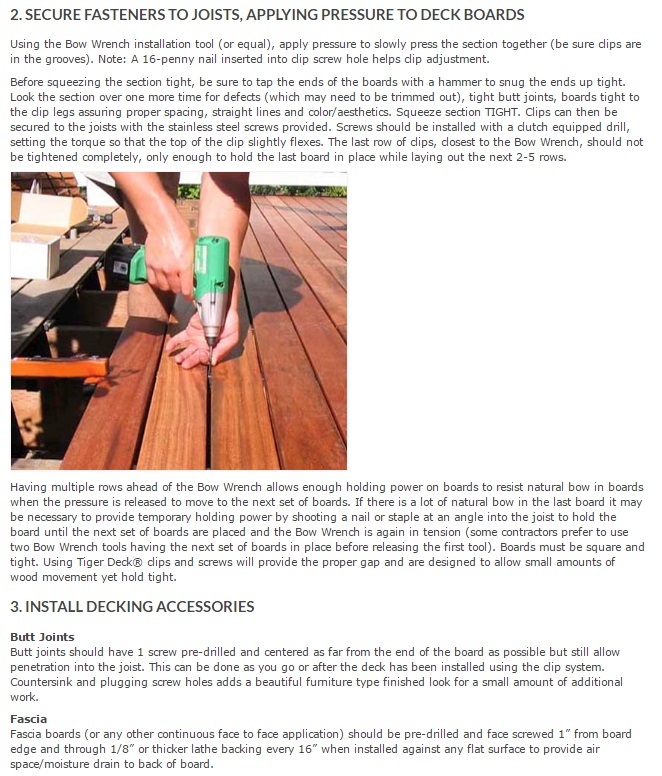 Q: How do I fasten down each deck board? 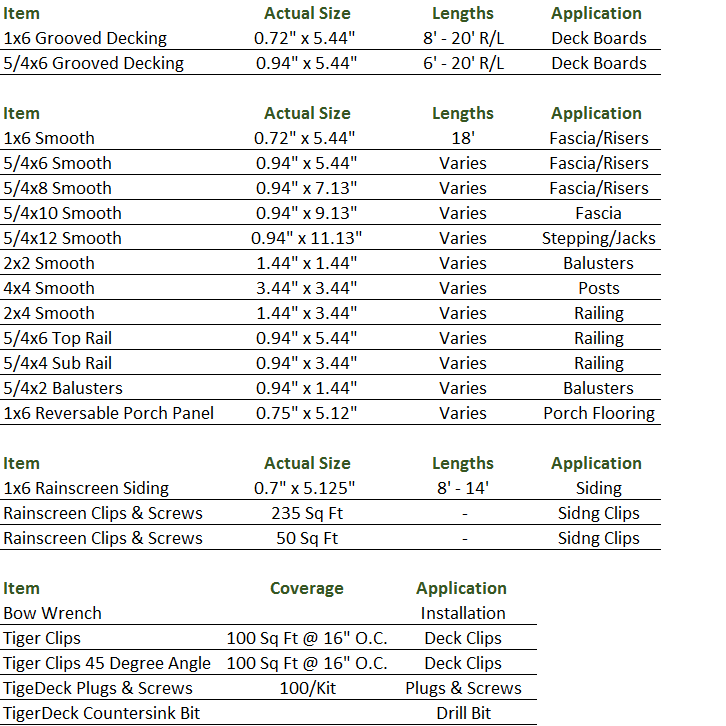 A: TigerDeck has a patented clip system that installs with a grooved deck board. It's one of the best clips on the market, and will easily last the lifetime of your deck. If you're working with a S4S product, you can face screw with their plugs and screws kit. 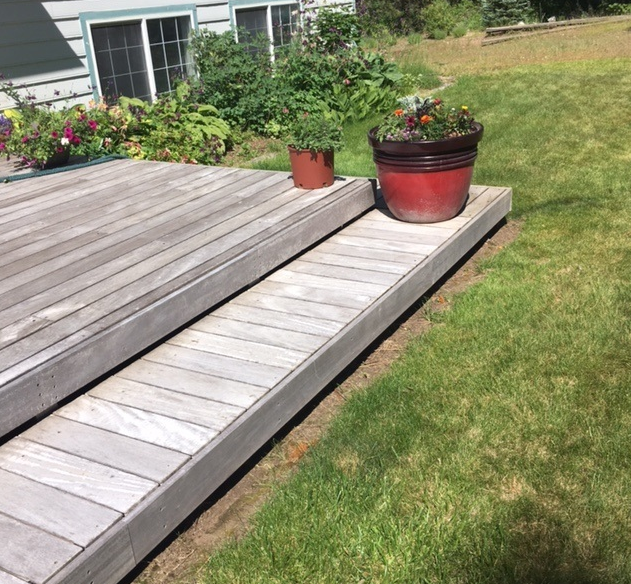 Q: Why can't I buy all the same length deck boards? A: In order to get the most out of each log and ensure long-term sustainability, TigerDeck is sold in what's called "Random Length" tallies. 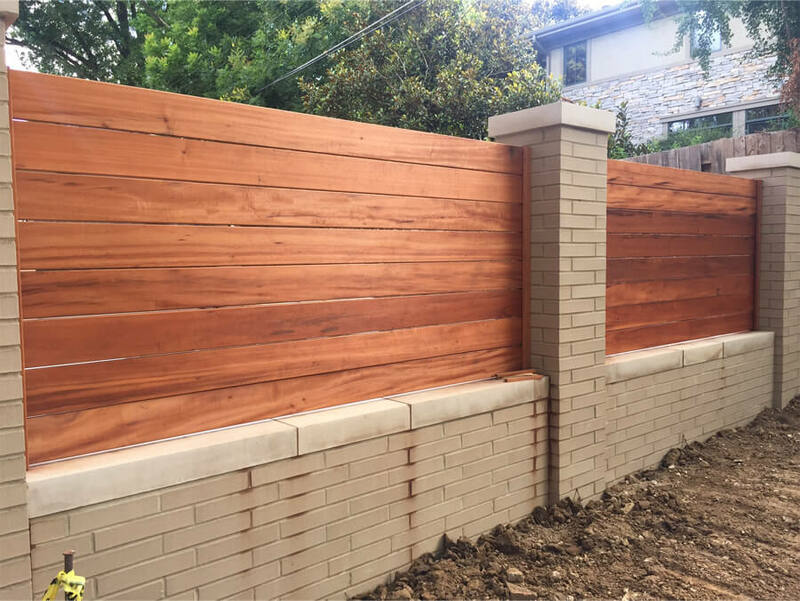 This means you'll get a mix of boards ranging from 8'-20'. 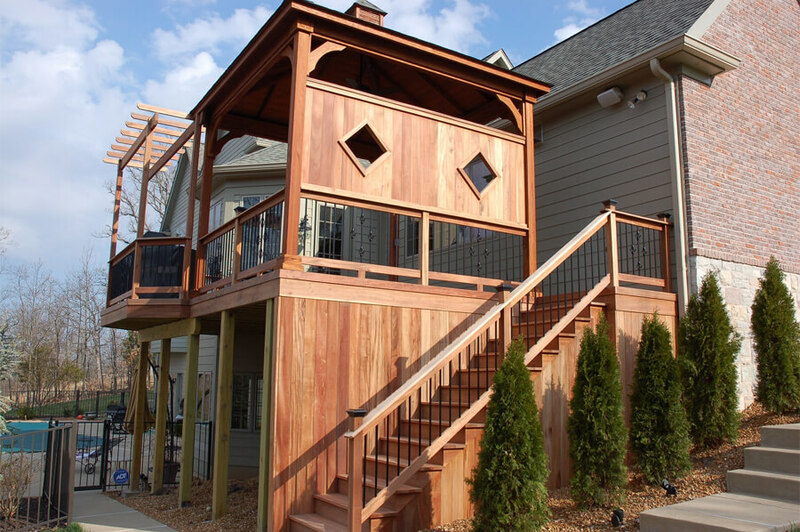 This is standard for many clear and exotic wood products, and any experienced deck builder will have no issues.